This is a summary for Brinley from 32.5 to 33 months old. She is 3 months shy of 3 years old. Sleeping is good. She goes down for naps and bedtime well without much if any fighting and antics. We keep things super consistent and routine, and that helps her to not negotiate her way out of it. Eating is pretty good. She has many meals where she eats very little so she can get back to playing, but then is hungry an hour later. I tell her that she needs to eat at her meal time. She also has a strong affinity for sugar. Strong. What she really wants an hour later is some sugar. Cookie. Candy. Whatever. I have not had a child so obsessed with sugar before. Brinley really wants to go through and watch all of the princess movies. McKenna has only seen Cinderella and Frozen (at least until the last couple of weeks) because movies make her nervous. But Brinley wants them all, so they are going through and watching them. She is enjoying them. The big story from this time period is her boundary testing. She is testing big time. 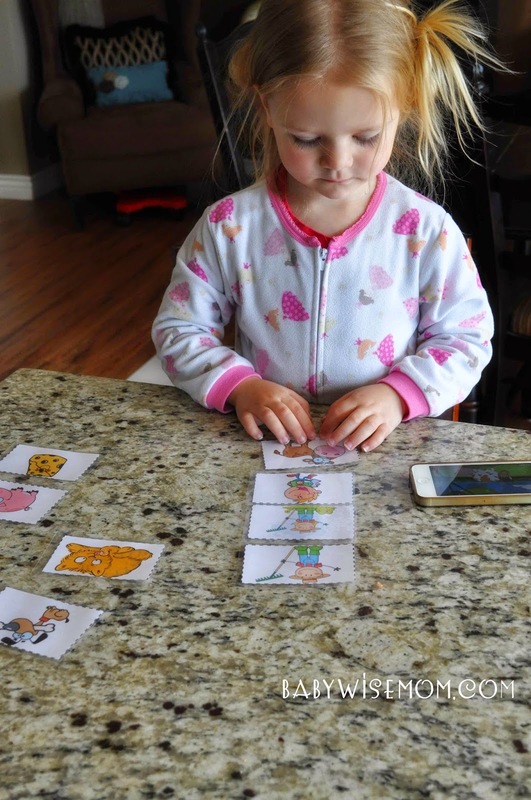 She wants to know what will happen if she says no, if she stands her ground, if she continues to play after I have told her it is time to stop, if she grabs a paper off the counter and crumples it up…she wants to know it all! Time to suit up for a testing phase. Fun at our local amusement park. 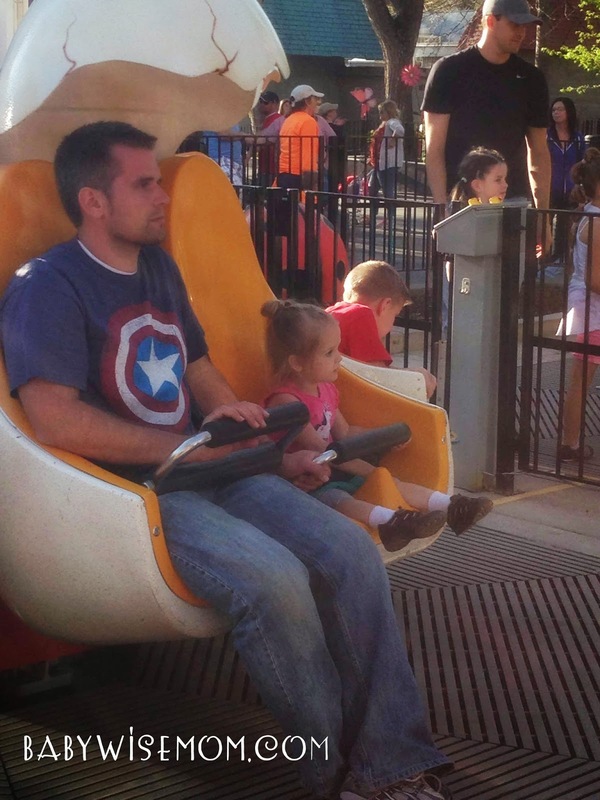 She loves riding rides. I would love to know your schedule as it pertains to the kids. When do you cook dinner, is it during nap? When do you grocery shop? On weekends? How do you only plan for a learning activity for 15 minutes? It takes us that long to figure out what or how we are going to do something but even if I have it ready, it still takes longer than expected. I feel like my kids need me constantly on them,they are 4&6 and it seems hard to get stuff done because they need help with everything still. Thanks. Love your blog. Nilu, the learning time–I prep that usually all on Saturday for the next week. Sometimes Friday. Right now, I am using things from they babes tots and kids book I wrote (you can see it linked on the sidebar). It doesn't take much time to prep because it is all planned. Our learning time usually runs into their sibling play. Dinner: I decide what we are having around breakfast so I can prep anything that needs to be prepped. Then I usually start dinner around 4 pm. Brinley is usually still asleep and my kids have gotten home from school and are doing some sort of free play activity. Grocery shopping, I do one evening a week while my girls are at dance/gymnastics class. If I wasn't already going to be in town for that, I would go one morning a week. At 4 and 6, they definitely can be working to be more independent with things and not need your supervision to get things done. You can get some ideas from my posts on chores. Jerusha,For movies, I will do that on a rainy day (and it had been raining basically all month) either in the morning or in the early afternoon. I use it as her tv time no matter what time we do it. But sometimes it will be her watching a movie in the morning for tv time or her doing it with McKenna after lunch. If it is afternoon, it is a late nap day. I do let her watch the whole movie. She usually also does puzzles or playes with toys while watching a movie as well. For refusing to clean up, if she absolutely refused, I would either a)take those toys away until she was willing to help clean or b)put her in time out until she was ready to help clean or c) not allow her to play with anything else until she had cleaned up the thing she needed to clean up.